This army of office workers, mostly “government girls,” arrived to find a city sorely lacking in office supplies and equipment. 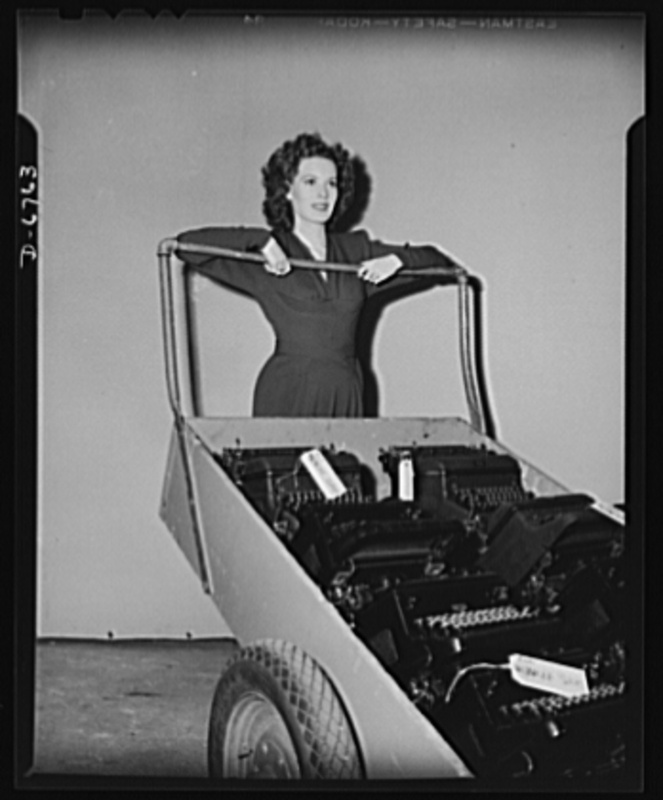 Typewriters were a particular problem – the government needed 600,000 of them for use in DC and overseas. Some offices explored the idea of working around the clock on shifts to minimize idle typing time. 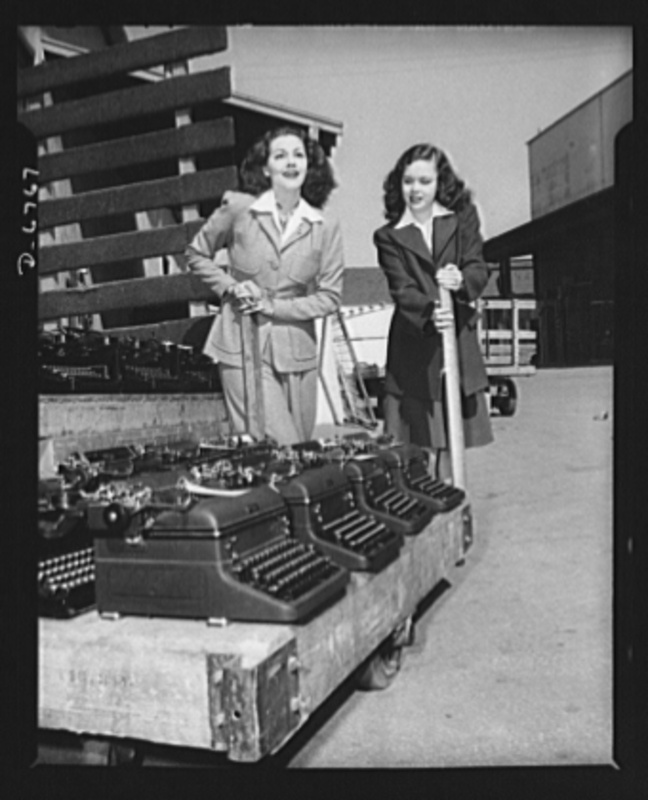 Typewriter companies had been asked to retool their factories to support the larger war effort. Underwood and Smith-Corona produced rifles, and the Royal Typewriter Company produced airplane parts. Unfortunately, this coincided with the huge spike in demand for their products and led to a great wartime typewriter shortage. The government leaned heavily on a public relations campaign called “Forty-Two Keys to Victory” to fill the typewriter gap. Typewriter-heavy industries like Hollywood and the news media were pressured to contribute one out of every four machines. Companies did their part by running advertisements to drum up support for the program. 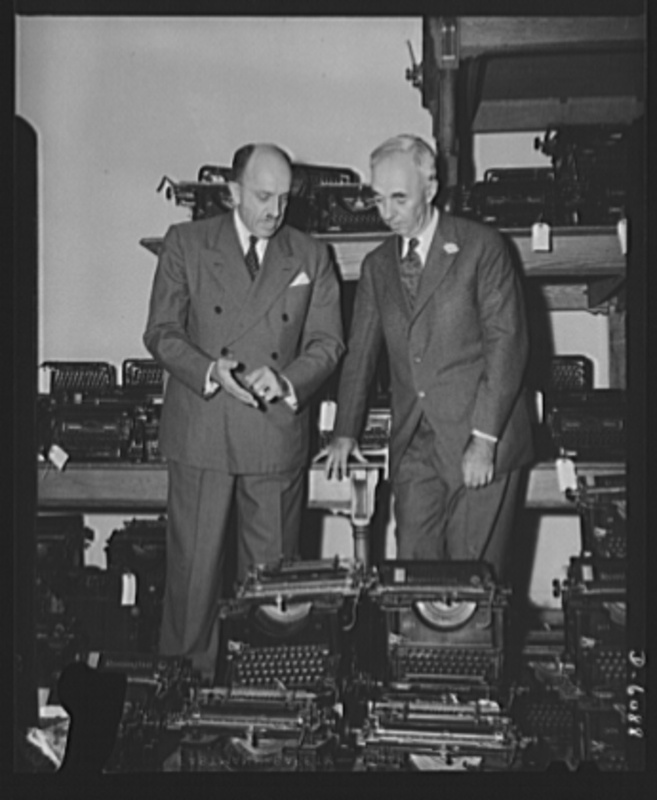 Local dealers like the United Typewriter Co. (located at 813 14th Street NW) were prohibited from selling or renting their products from March 1942 until April 1944.